The introduction of mobility, cloud and the Internet of Things (IoT), heralded with its enormous changes in business processing. The rise in customer expectation for seamless communication is now driving enterprises to explore smarter ways of reaching more people. One such way is interaction through applications, which are mobile and upgradable. It leads to the need for a broad API-led connectivity and deployment on a single platform that seamlessly connects to the cloud and traditional data centers. Addressing this need, San Francisco based leading software integrator MuleSoft, helps to create APIs, manage, and redesign web apps in a secured controlled way. In addition, the company holds the potential to change data, into digital assets with their integrated tool for APIs. MuleSoft’s Anytime Platform is an enterprise-grade technology enabling organizations to share data with any chosen audience; from any source through apps that are highly available, scalable, and secure. This integrated solution is built on open source technology eliminating the hassle and cost of point-to-point integration. 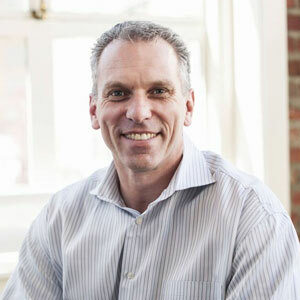 “Anypoint Platform eradicates the difficulty of custom coding and delivers the speed and agility into business processing by taking advantage of the API-led connectivity,” says Greg Schott, CEO, MuleSoft. This robust integrator includes CloudHub, integrated Platform-as-a- Service (PaaS), Mule ESB, and a unified combination of API management, design and publishing. With MuleSoft’s Anytime Platform, enterprises can collaborate with consumers during design and engage developers with interactive portals. This API management solution includes Anypoint API Designer for building, documenting and redesigning APIs in a few hours by using RESTful Modeling Language. “Web based API designer is easily readable. The API designs can be shared with the app developers to get feedbacks from the prospective users,” adds Schott. Furthermore, MuleSoft offers API manager, which maintains user, traffic and service level agreements, and secure APIs. Its in-built API gateway creates secured connection to take advantage of the governance capabilities of ‘Anypoint Platform for APIs’ for enforcing runtime policies in the application. This API gateway runs in the cloud or on-premises behind a firewall. This one stop platform allows enterprises to manage all the APIs closely, irrespective of its global presence. MuleSoft constantly helps businesses customize their integration strategy to utilize the dynamics of the particular industry. With footprints in U.S., U.K., Canada, Australia and Singapore the company has benefitted enterprises like Unilever, Walmart, Verizon, CISCO, ebay, Forbes, Salesforce and many more. One of MuleSoft’s healthcare clients, San Francisco based UCSF Medical Center, required real-time collaboration among its care team to ensure highest quality of patient care. Being a text based one way communication system, their existing pager technology was not sufficient for greater communication among staff. Therefore, UCSF needed a two-way unified communication platform. With the help of MuleSoft’s Anytime Platform, UCSF Medical Center developed Careweb Messenger, which ensured secured integration of patient information across key systems. This new messaging platform increased the flow of information in real-time that ultimately improved the in-house communication process.